The Muslim Welfare House Mosque is open for all of the five daily prayers. During the daytime the main prayer hall can be used for reading the Qur‘an and quiet contemplation. It can accommodate over 800 people, including space dedicated just for women. 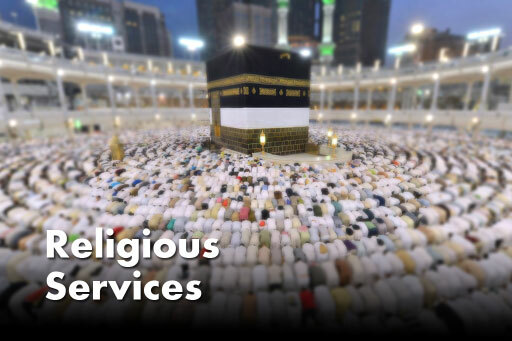 During busy times, such as Friday prayer, Eid prayer and the Tarawih prayers in Ramadan, an additional 1000 people can be accommodated in the Youth Centre, with audio coming directly from the mosque, and video in the halls.